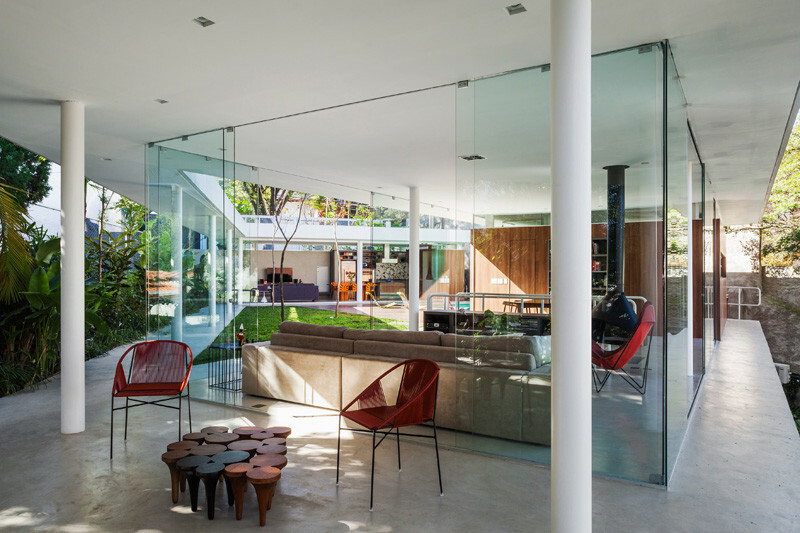 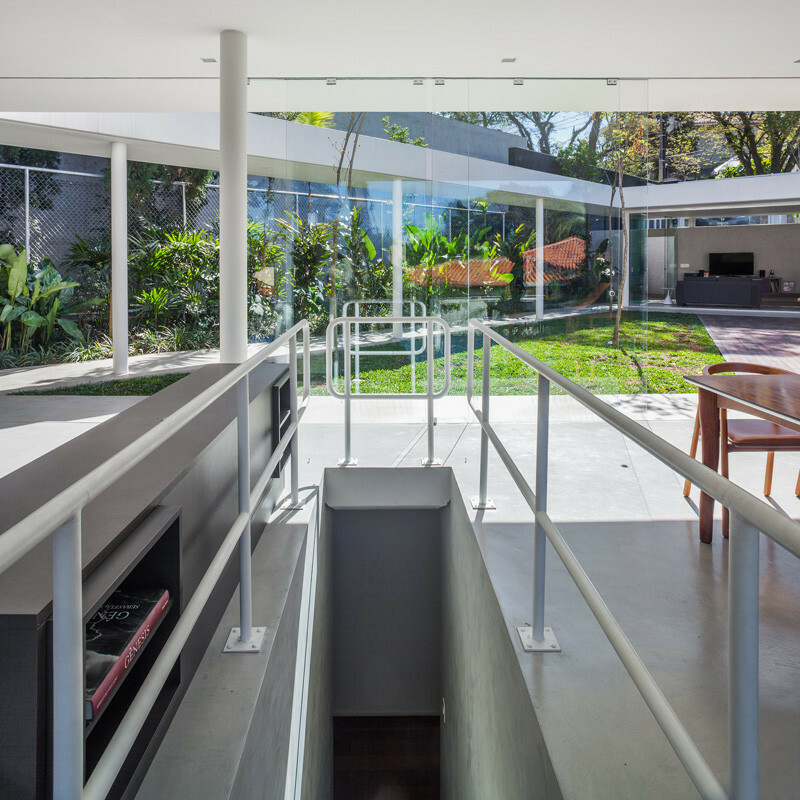 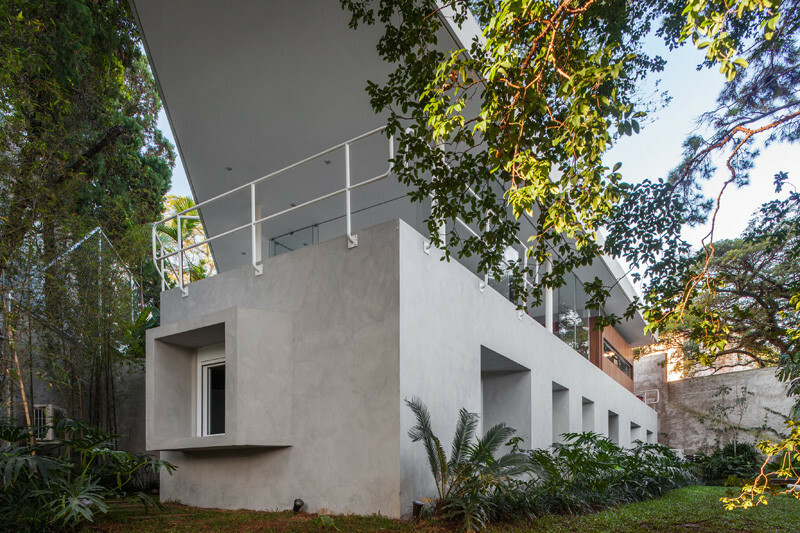 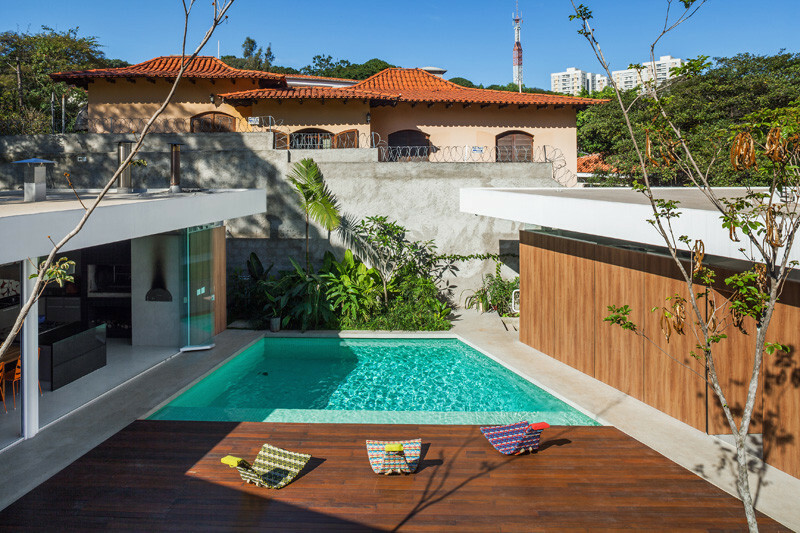 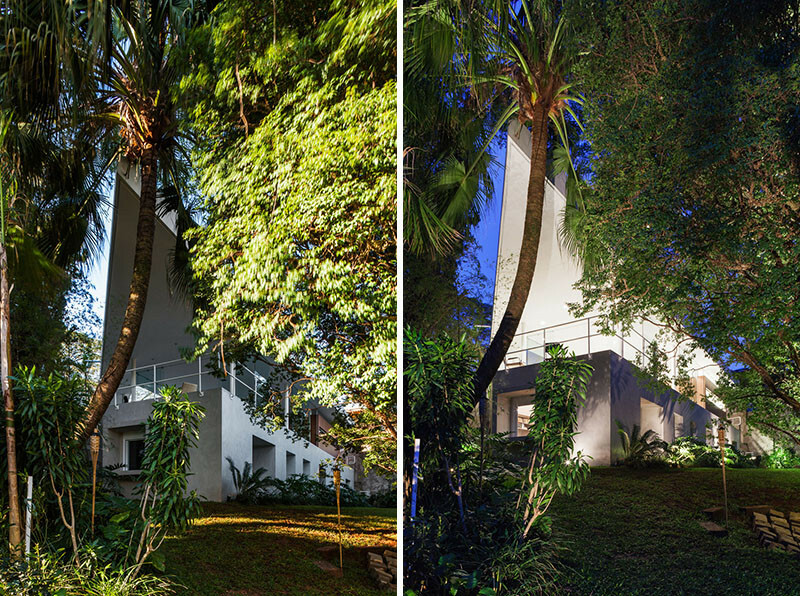 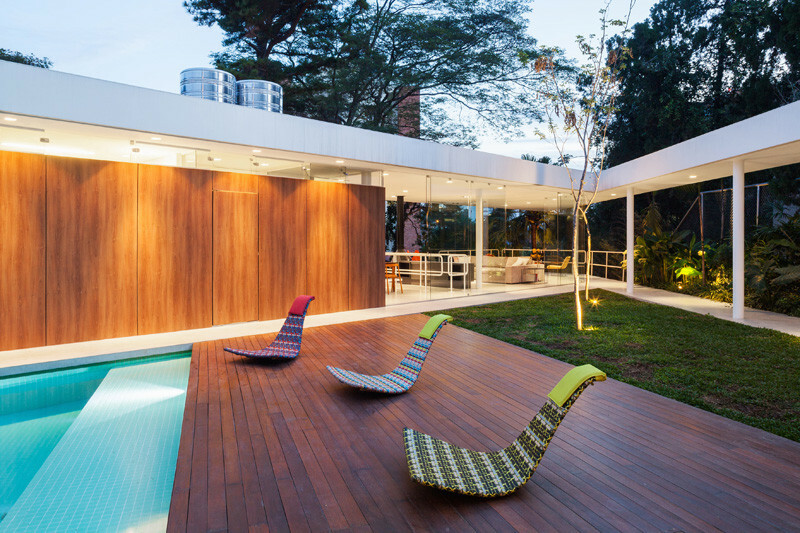 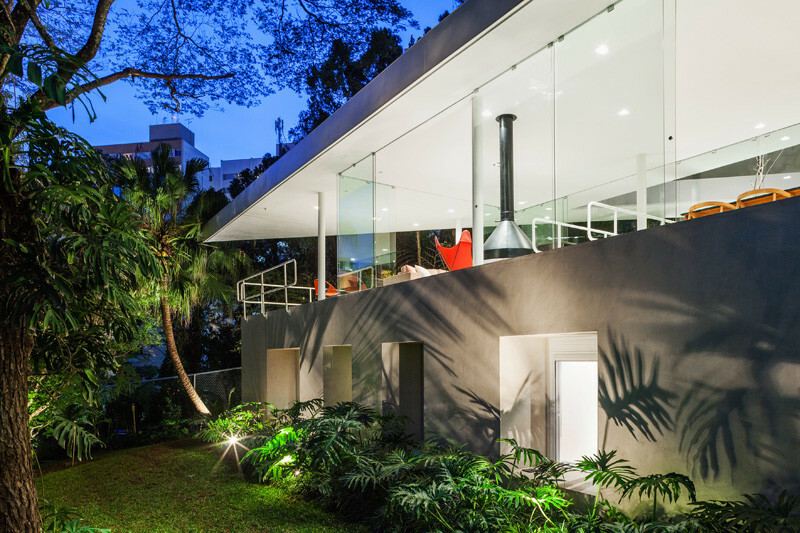 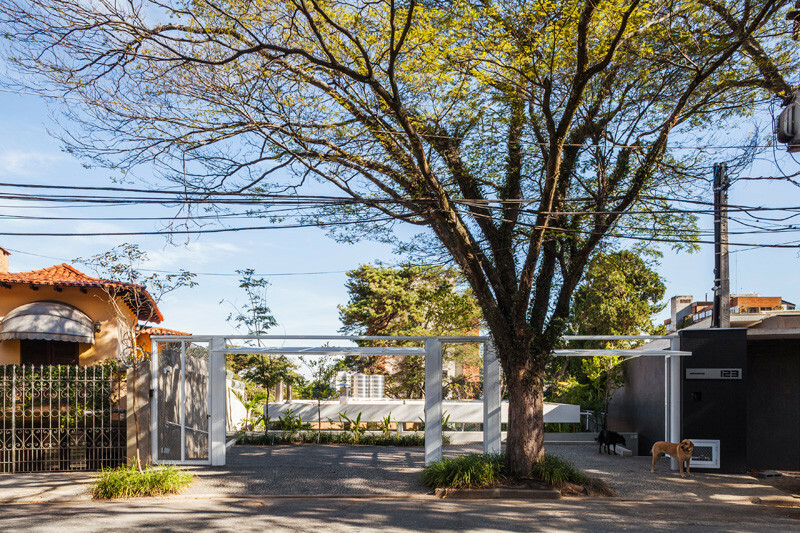 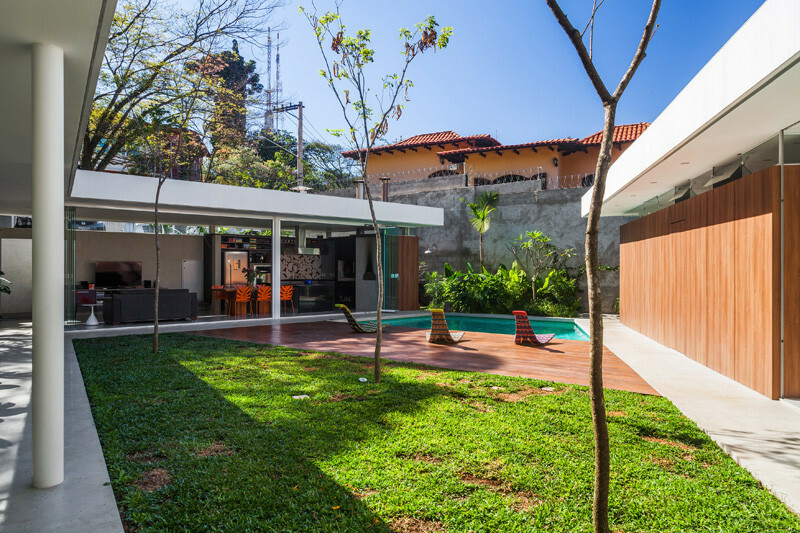 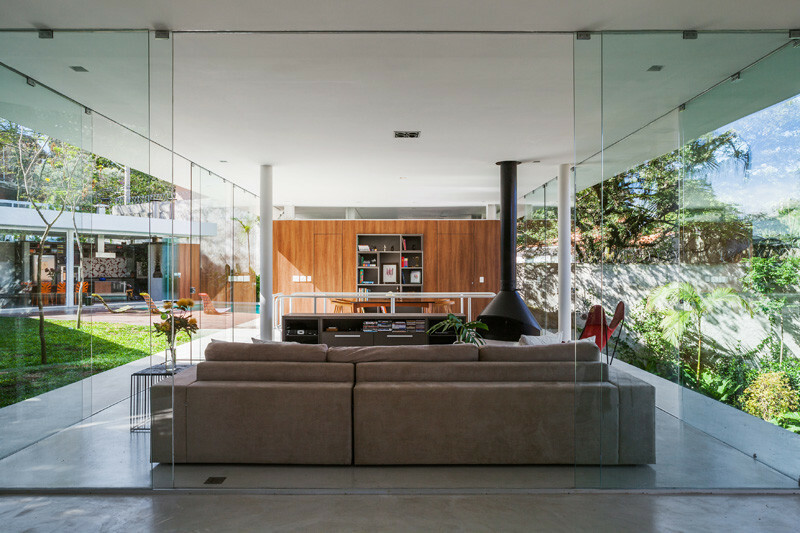 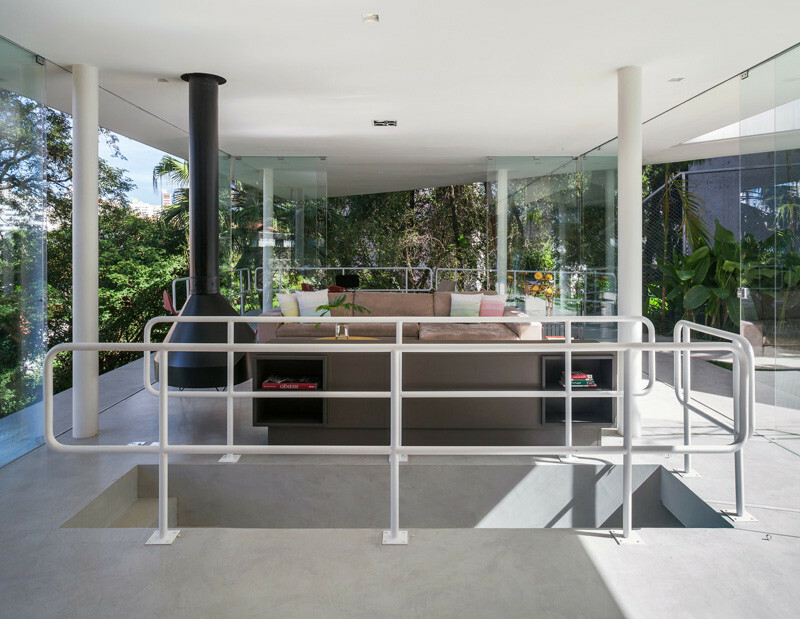 Forte, Gimenes & Marcondes Ferraz Arquitectos designed a home in Sao Paulo, Brazil, that doesn’t look like much from the street, but hidden within is a personal open-aired oasis. 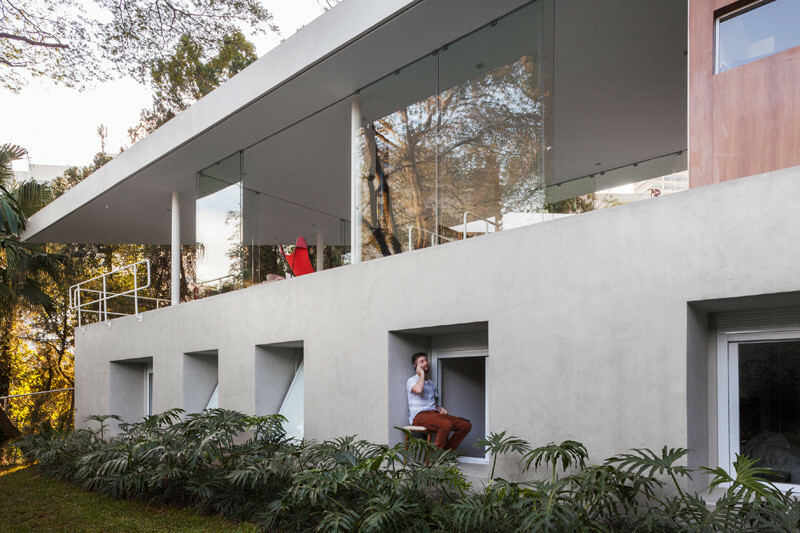 Due to building constraints, like the site being on a 17-degree slope, sleeping quarters were positioned on the lower level, with the social areas being on the main level. 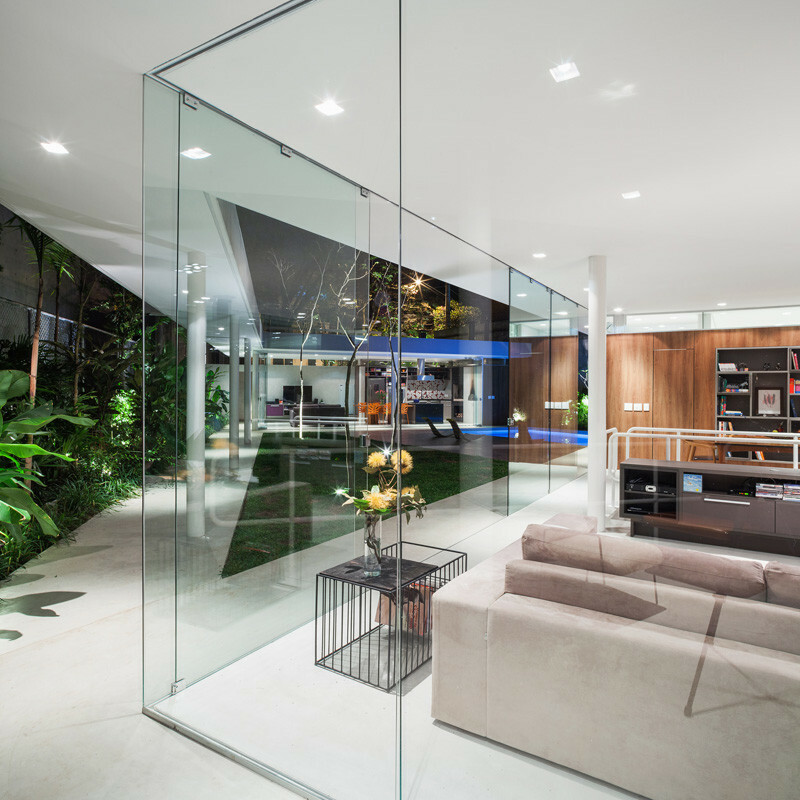 The majority of social areas, like the living room and kitchen, all open up directly onto to a central grassy area. 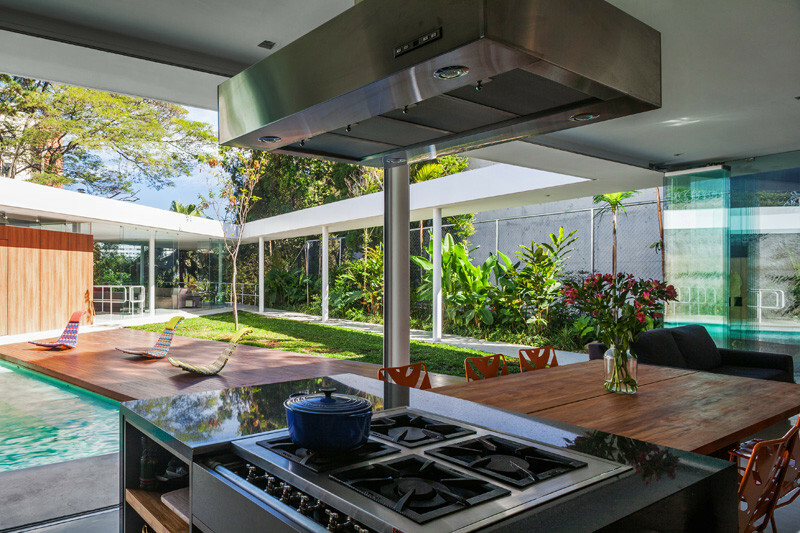 Here you can see how the kitchen has a completely open view of the pool area in the central courtyard. 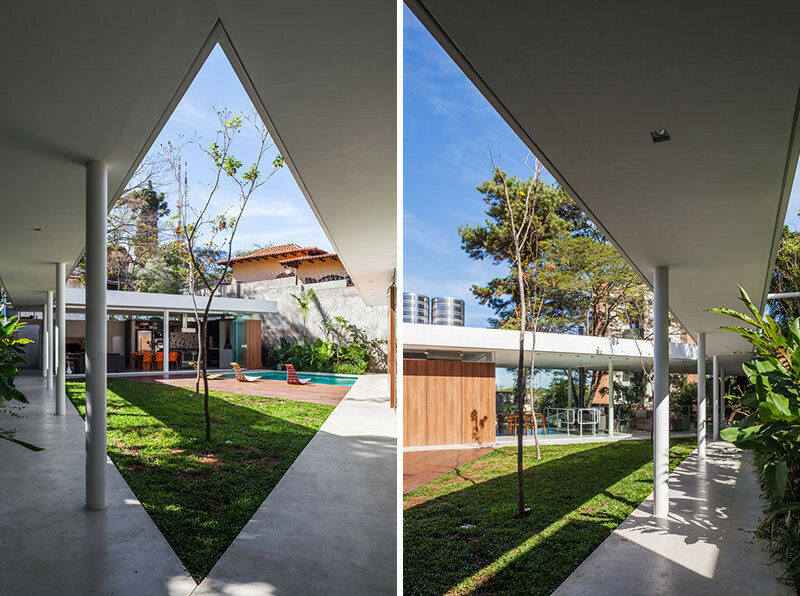 There’s a covered concrete path surrounding the grassy area. 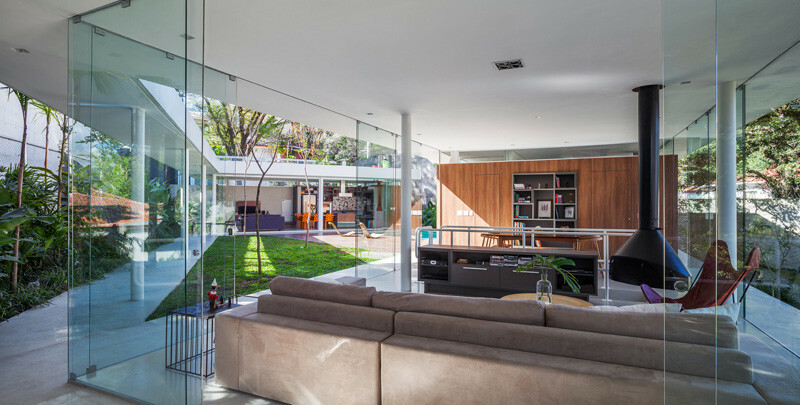 The exterior of the home shows the different levels of living.